With our South Africa expat guide you will discover all the tips and secrets to make your relocation to South Africa a successful one. 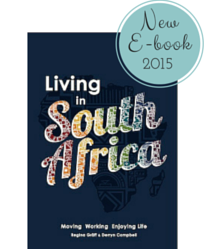 The Living in South Africa guide book provides all the information you will ever need! Through our social network of literally thousands of expats and future expats over the last eight years, we've identified the main worries of expatriates and business travellers when being transferred to South Africa by their internationally operating organisations, when planning on a move to this country, where with their South African partners and spouses, children or on your own. Or when planning to retire or start a new life in this amazing part of the African continent. We've boiled this research down to 296 pages filled with vital information, practical tips and recommended resources for further consideration to help you take off the heavy weight from your shoulders when being at the difficult stages of decision making and planning that are essential in any successful relocation. Our book will help to get well prepared and be informed about all topics affecting your daily life in South Africa and thus will make your settling-in period so much more enjoyable too. Plus, we've made it easy for you! With our colour coded chapters and a detailed index, you will find it convenient to use the book as a reference at any stage of your relocation, this means you don't have to sit down and read Living in South Africa cover to cover. There are so many things to consider when moving and living abroad, we will help you to go through the many little necessary steps which are essential for your specific situation. When you purchase our books, 10% of the proceeds are used to further education and research in South Africa through various charities. You not only get the answers to your questions on living a better life in South Africa, you become part of the solution. Our comprehensive expat guide book will guide and assist you through the process of settling in to ensure you get the most from your experience. The book provides relevant background information about South Africa’s history, economy and cultural heritage as well as a comprehensive overview of more practical topics related to daily living. The book is packed with 292 colourful pages of information and useful tips and gives a comprehensive overview of this unique country. Many colourful graphics and photographs complement the information which includes personal experience and helpful hints. 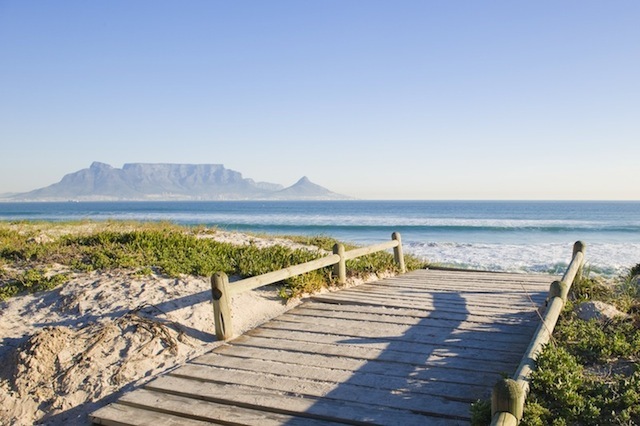 How to order your South Africa Expat Guide? Simple and easy! Purchase our ebook via Paypal and be able to download your pdf version of the book from our e-junkie link. So you start reading right away! Or contact us to get a link to download an epub file which can be used on ibooks as well. The ebook costs €14.59 when paying via PayPal or R220 if you order directly from us. The softcover book costs about R270 at South African bookstores and R180 (plus shipping & handling), when you order from us directly. Read more on where to buy your book or how to order directly. For bulk orders over 25 books, please contact us directly for receiving your special discount. Please provide your personal details below, so we can send you a proforma invoice with payment details. 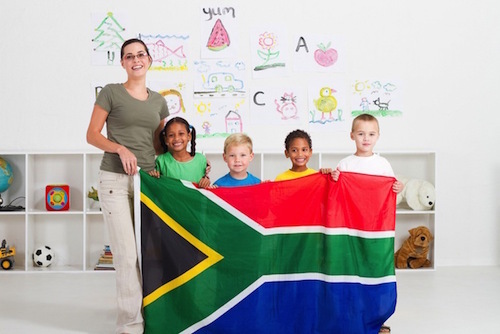 Moving to South Africa with kids?